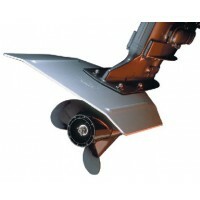 Gives outboards and stern drives a performance boost, improving both stability and handling. The Hyd.. The original hydrofoil. 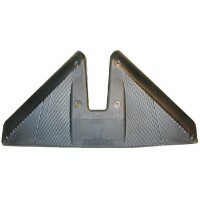 Molded in 2 pieces of guaranteed, unbreakable, high strength plastic. Each f.. Happy troller large Size: LargeFits: I/O's and outboards 50 hp and larger..
Made of highest quality polycarbonates with stainless steel hardware. 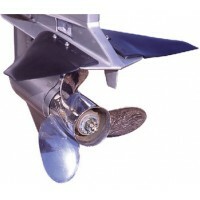 For: OB motors up to 25 HP..
Troller in small happy in Size: SmallFits: Outboard motors from 20 to 50 hp..
Extends out behind the prop to utilize the prop wash energy that is normally lost breaking the water.. 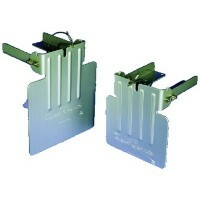 The EasyTroller's patented hinge design prevents damage to the trolling plate under inadvertent acce.. 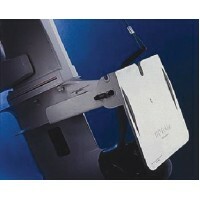 Performance stabilizer, planes quicker, reduces cavitations, one piece unit for strength. Fits all s..